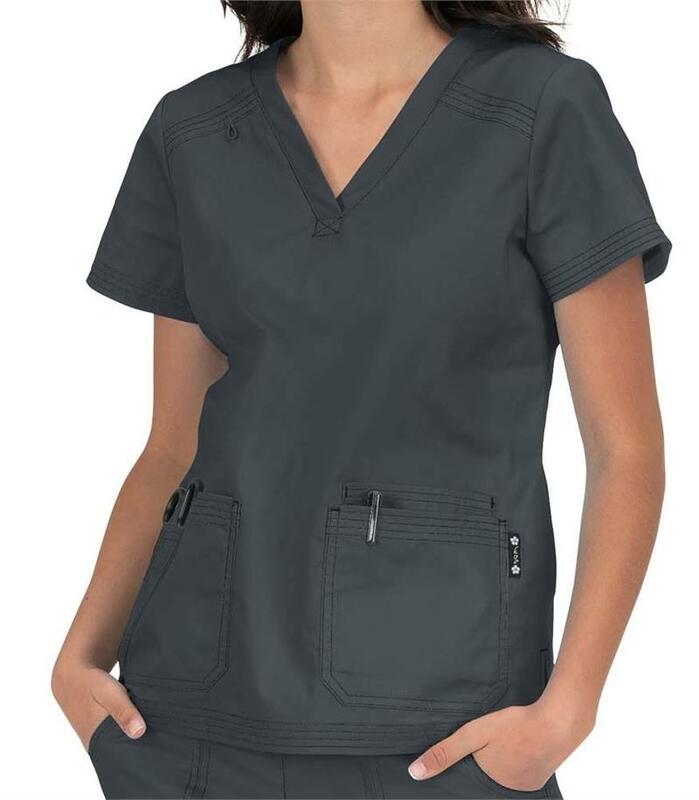 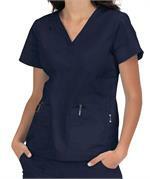 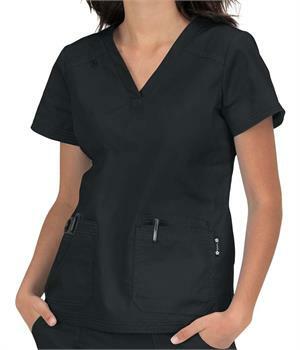 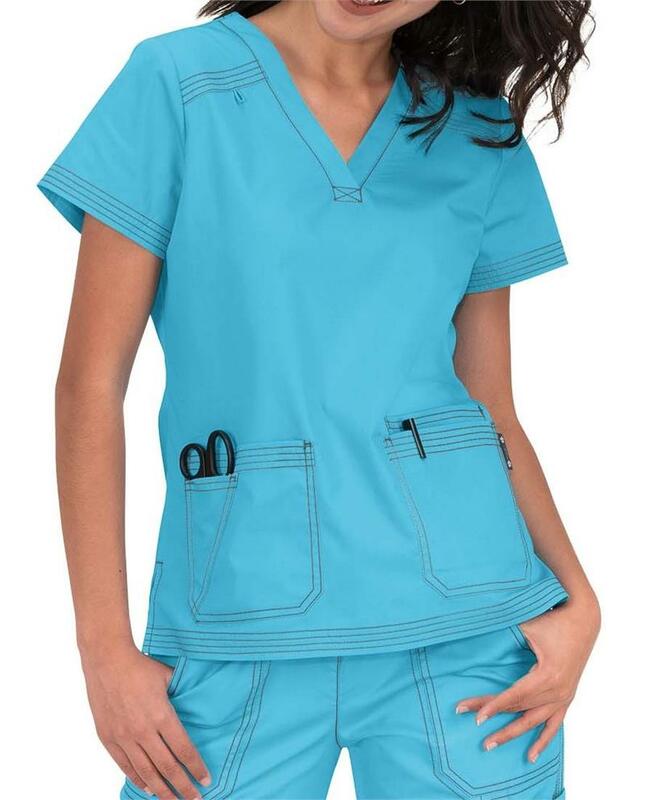 This Koi classic v-neck features bungee loiop for ID badge, 4 front pockets, including scissors pocket, yoke in back to make top more form-fitting. Multi-needle stitching for superior quality, side slits, center back length 26". 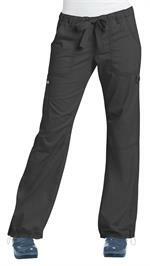 Made of 55% cotton, 45% polyester soft twill.